Years ago, I posted a simple and practical article about gearing up for a big project, called The Big Fat List (I think it was this blog’s second post!). A lot of people loved it, and most of the feedback was about the surprising power they discovered in building a project’s foundations away from their computers. Recently, I found myself leveling things up a bit as I faced a project that was about to leap from “long simmer” to “wild boil”. This new version of the Big Fat List allows you to unload quickly-proliferating issues and tasks to paper while also beginning to organize them in a way that allows ideas to continue flowing. Not only that, you’re still free to easily re-organize things. Though I’m giving businessy examples in this post, it also works really well for big home or school projects. 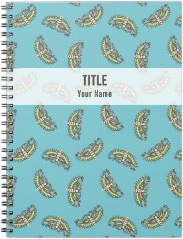 Start with a new spiral binder—lined, blank, whatever works for you. 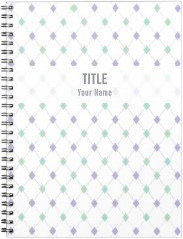 Write the project name on the cover. If you suspect that may change, feel free to leave the cover blank, and write the project name on the inside sheet. I actually write mine on the second inside sheet (leaving the first sheet blank—I’m not even sure why). Before you start throwing issues at this brand new book, spend at least one page outlining the focus and desired outcomes of the project. These should be a little bit idealistic. You can pare them down later, if you find you need to. I also recommend including some focuses and desired outcomes for you, personally. You’re not going to show this to anyone: it’s going to be a big, messy collection of thoughts that, if you take these instructions to heart, will be of value only to you. You don’t need to finish the focuses in one go. Just get at least two or three framed. You can always circle back as things occur to you, and you’ll have set the tone for everything else that goes into the notebook. Now start entering those issues and tasks. List tasks as they occur to you, but give each issue its own page. You’ve got a whole notebook, right? Use it up! If you don’t come up with any related tasks for an issue, leave the rest of the page blank and go to the next page. If you realize a task you’ve already listed elsewhere fits better here, cross it off on the other page and reenter it. Let it be messy (but make sure you can read your own writing). Issues aren’t the only things that can head up a new page. If you have an idea, you can make that a page heading, or start a page called Ideas. If you end up having only one idea on it, who cares! Another page can just be called Questions. Specific questions can be a header to spark research and clarification. Give team members their own page: add questions you want to ask, assignable tasks and follow-up reminders. This isn’t something you want to complete in one sitting. 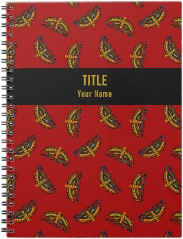 Keep the notebook nearby and add things as they occur to you. Include everything related to the project. Don’t spend too much time fixing things or tidying them up. Instead, extract things, moving items to more-formal (and probably online) organizational tools as desired. Regularly go back through your notebook, revisiting your focuses and desired outcomes. Are they still true? Have they changed? Have they changed for good reason? Add notes, cross stuff out. I regularly go back through my notebook to cross off items, and to capture items for my daily to-do list or for formal project management pipelines when the time is right. Sometimes, I scan through the notebook backwards. Interruptions or urgent tasks you discover while going front to back may keep you from spotting critical items you added later on. People make fun of me for drawing little checkboxes near all my tasks, but don’t underestimate the power of a little box. As I scan back through my notebook, unchecked boxes grab my attention. A page full of checked-off boxes means I get to draw a big line across the whole thing. Feels great. Don’t worry about things getting out of control. There is terrific power in just getting all this stuff out of your head. The management happens later, when you take the notes and insights you’ve collected and act on them. Buy notebooks you’ll really use. I like cheap discount notebooks because I don’t want them to feel “precious”. This way I’ll feel freer to abuse them (bend pages, scribble notes on the cover, jam them into my backpack, etc.). In case you prefer things a little more personalized (or hate Office Supply Blue), I created a few customizable notebooks for you that will look snazzy on the conference table. 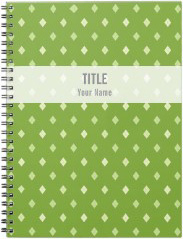 They’re $12.95, with 80 pages; Click a notebook image for more purchase info. Do you have suggestions about how to evolve the Big Fat List even further? Go ahead and post them as comments.